With spring underway and summer right around the corner, there is one thing growing in every garden, WEEDS. It’s a battle all gardeners face at some point. Sometimes we win and sometimes we lose. There have been days when I have gone through my garden picking weeds only to turn around and see more. It’s like they are growing as fast as I pick them! 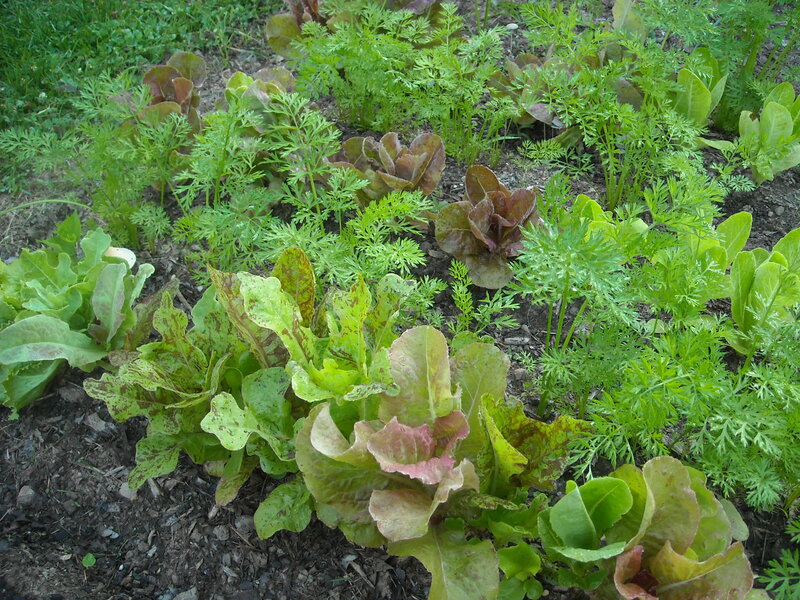 As frustrating as weeding is, the pleasure of seeing a well weeded garden or flower bed can be really rewarding. Here is an update to a post I did a few weeks ago called “Building Pea Fences”. The peas have finally reached their mature height and the pea fences are working great. The fences have been able to handle some pretty strong storms the last few weeks without any problems. No matter what weather mother nature throws at them they still stand up-right. 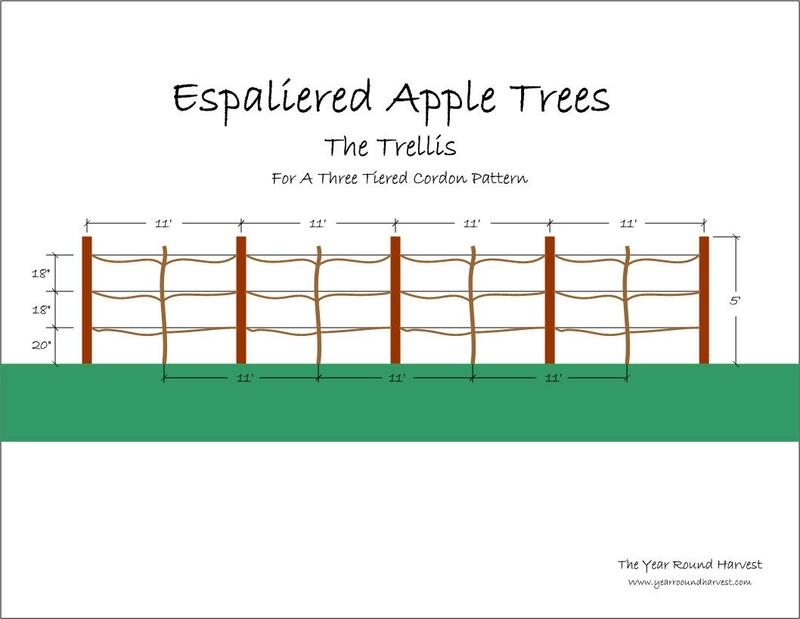 The image above shows you the basic trellis that we built, for a three-tiered cordon pattern. As you can see our trellis will be used to support 4 trees. 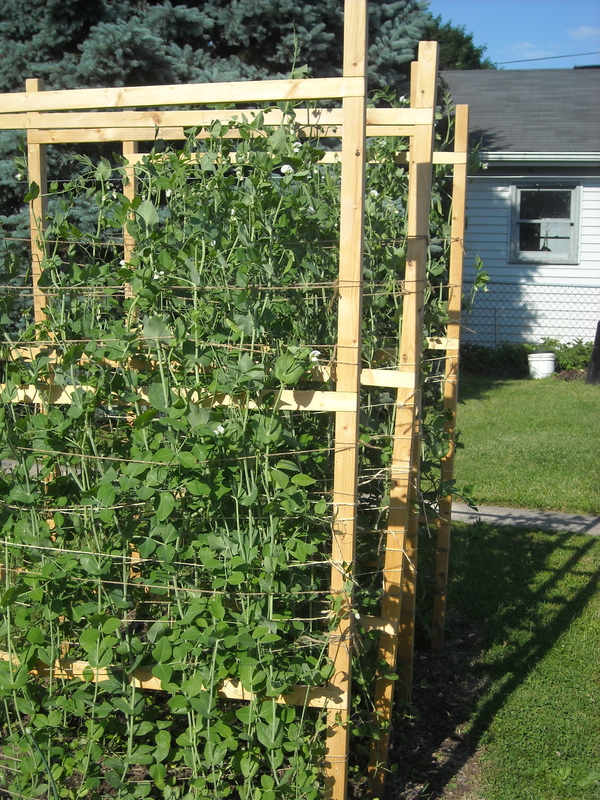 This trellis is fairly simple to build and can be built with minimal tools. All of the supplies used to build this trellis can be purchased at any good building supply store.